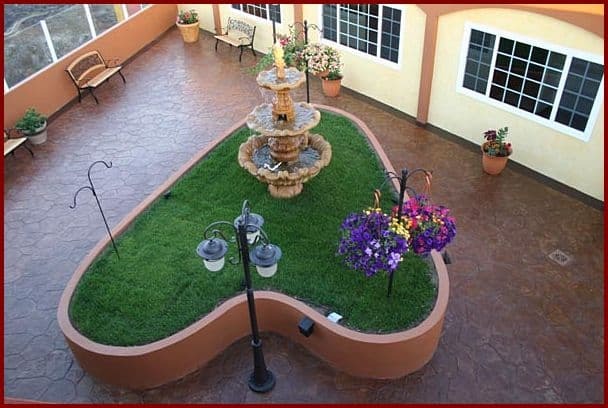 El Mirador Assisted Living has a beautiful courtyard overlooking the city of Tijuana and San Diego. 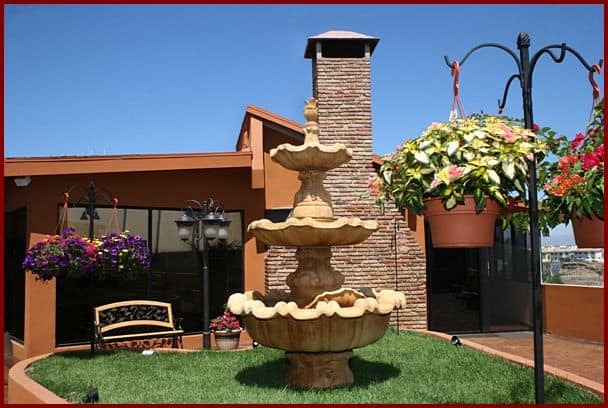 It boasts a fountain as its centerpiece, surrounded by flowers. 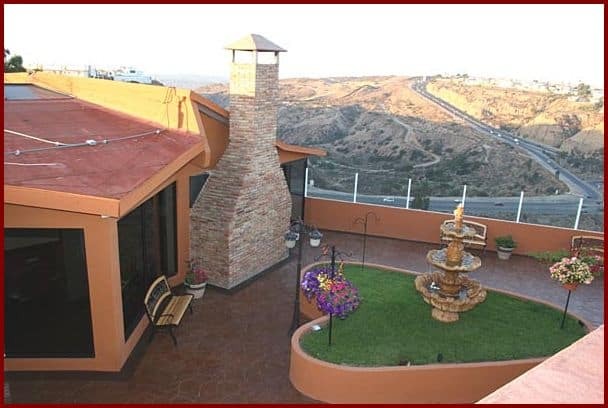 We have created a beautiful family environment with benches, lovebirds and a barbeque to enjoy visits with family and friends. Arts and crafts activities as well as physiotherapy are often conducted in the courtyard to enjoy sunlight.